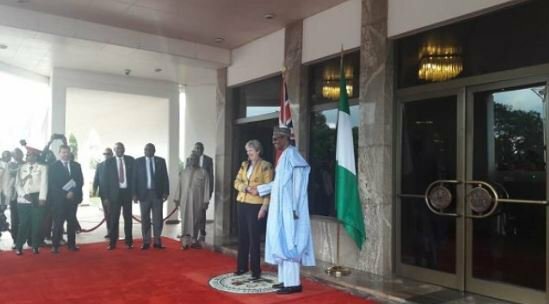 British Prime Minister, Theresa May has arrived Nigeria, as part of her visit to some African countries. Shortly after her arrival on Wednesday, May proceeded to a meeting with President Muhammadu Buhari at the Presidential Villa in Abuja. Issues to be discussed at the meeting include the security challenges in the country, economy, as well as the 2019 general elections among others. The Presidency had disclosed that President Buhari and May would sign vital defence and economic agreements involving Nigeria and the UK.